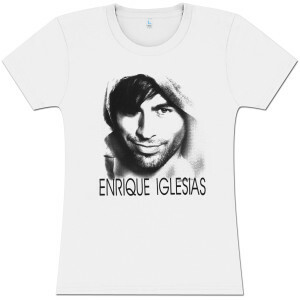 100% ringspun cotton T-shirt featuring Enrique's face on the front. Loved the t shirt ... enrique’s face print is just too amazing ... Bought it in size small, fits perfect ...just like how I wanted. Gracias !!! T-shirt is great! Good quality, Enrique's face is clear, I'm very satisfied! Thank you! Absolutely love it!! Excellent quality and Enrique's handsome face is perfectly clear! The material of the tshirt was excellent. The only thing i did not like was the cheesy packaging i expected something more nice. Thank you look foward to buying more stuff.